Weddings. They’re wonderful and memorable, but the crush of deadlines, myriad decisions made on the fly and craziness associated with planning and execution can leave a bride and groom exhausted by the time the bouquet is thrown. Being the center of attention is no easy feat when all you want to do is rip off your wedding finery and be free of the stress. Of course, that’s what honeymoons are for: relaxing and ripping off clothing, that is. How about taking high-profile travel editors up on their honeymoon destination recommendation? Belize has become Honeymoon Central, leaving other Caribbean nations wishing they were as popular. 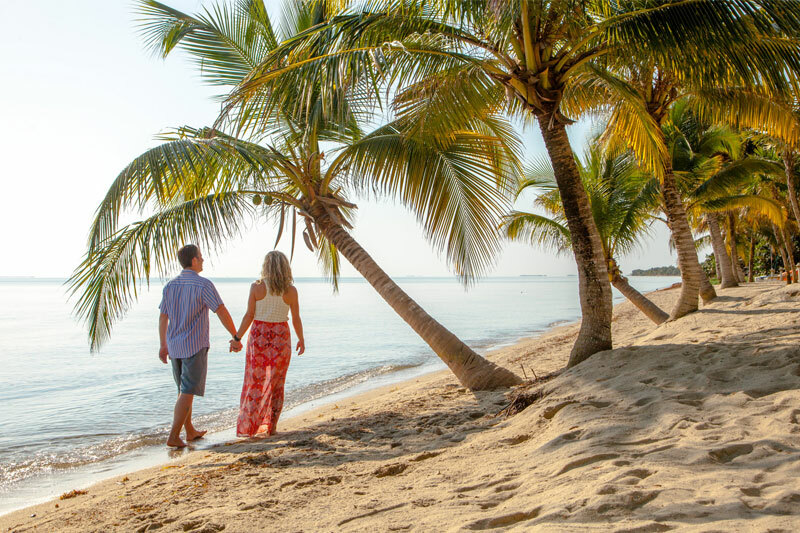 Specifically, the peninsula of Placencia is the epitome of honeymoon destinations and at its center is the award-winning Laru Beya Beach Resort. Hammocks fit two, suites are luxe, welcome drinks and fruit baskets await and a couples massage in the spa help couples decompress fast. 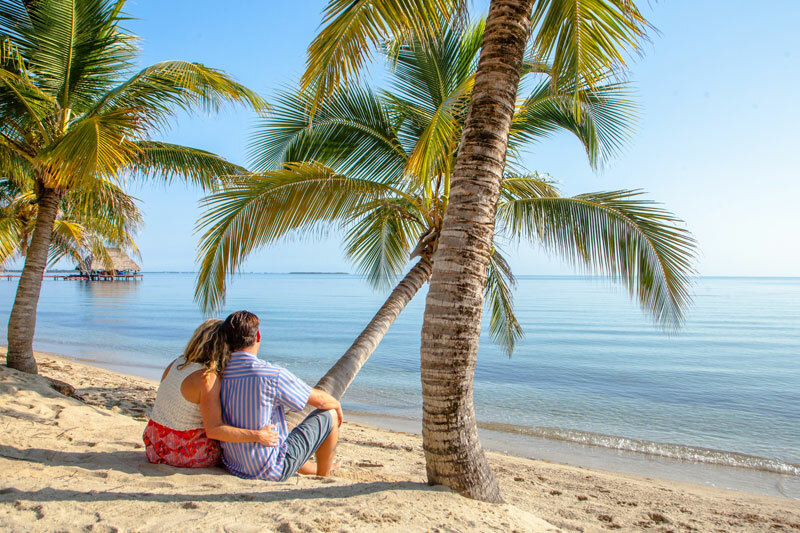 The Laru Beya all-inclusive honeymoon package covers the entirety of the honeymoon: gourmet meals, a private romantic beach dinner, unlimited local beverages and either that massage or a sunset cruise. Whether you two decide to stay hunkered down in your nest for the duration of your post-wedding holiday or you only need a couple of days to get back your equilibrium, a world of activity awaits your pleasure: A crystal clear pool, the beach, kayaks, Hobie Cats and bicycles feed your urge for adventure, which may be as strong as your need for privacy and romance. There are golf carts on premises and Wi-Fi connections if you insist! Oh, the things you will see and do! Couples honeymooning at Laru Beya often say that they have no intention of leaving their oceanfront suites—until they see the excursion options in person. Will you snorkel the Belize Barrier Reef? Zipline over the jungle canopy, hike to waterfalls or go river tubing? Perhaps you long to meet the people of Belize and experience the nation’s diverse cultural heritage that gives you a flavor for the place that will remain forever in your memory. Whether your curiosity involves contemporary Belizeans or the Maya populating this area centuries ago, Placencia has it all. Booking your Belize honeymoon at Laru Beya is the ideal way to start life together. It’s the reason couples return year-after-year to spend their anniversaries with us. We like to say that our resort is as well known for starting solid marriages as it is for the splendor, couples enjoy at our picture-perfect resort. Bookings fill fast, so don’t wait to grab your honeymoon date!